EPP Jeweled Starflower starter kit featuring bella solids and feedsack starter bundle. Hone your skills or try something new...this little starter kit is the perfect thing to get you started. Jeweled Starflower is a work in progress over on our instagram feed (@sweetgirlstudio) so I don't have a finished size, yardage requirements, or final number of starflowers required. 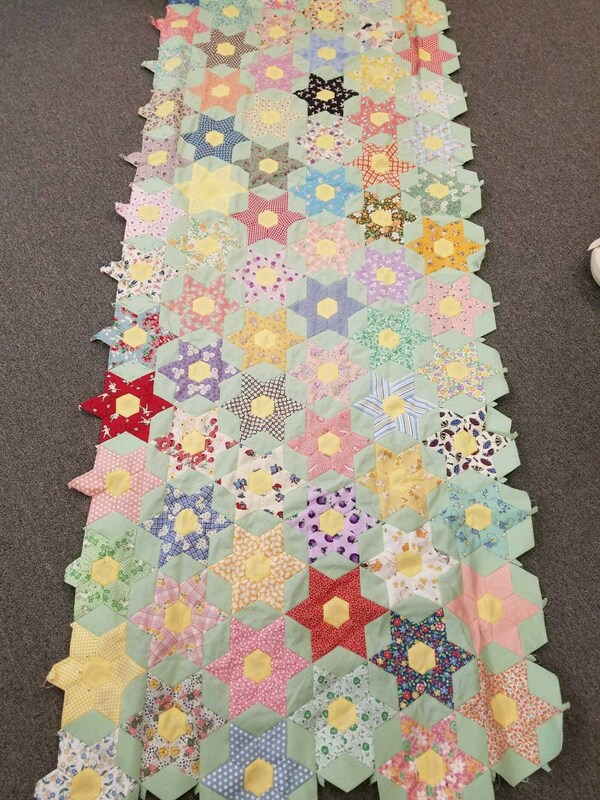 If you'd like to join in on the starflower fun...this kit is the perfect way to get you started. 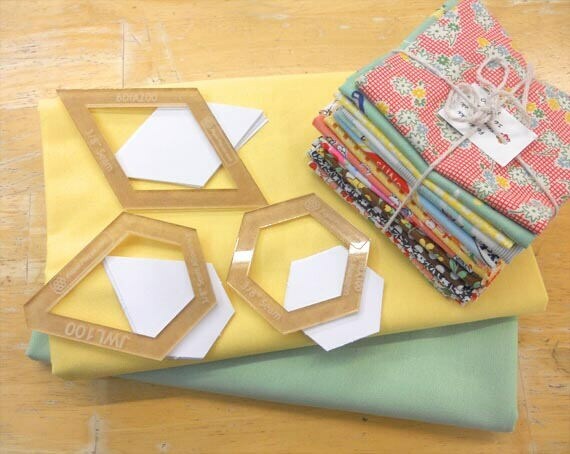 A quick guide to English paper piecing and a color photo of Jeweled Starflower.